Domestic stocks nudged higher in early trade buoyed by better-than-expected June 2018 quarterly results from index pivotals. 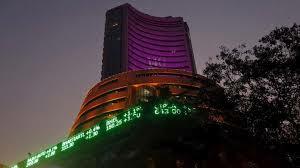 At 9:32 IST, the barometer index, the S&P BSE Sensex, was up 122.54 points or 0.33% at 36,980.77.  The Nifty 50 index was up 31.15 points or 0.28% at 11,163.15. The Sensex scaled record high above the psychological 37,000 mark. The Nifty also scaled record high. Trading could be volatile as traders roll over positions in the F&O segment from the near month July 2018 series to August 2018 series. The July 2018 F&O contracts expire today, 26 July 2018. The S&P BSE Mid-Cap index was up 0.52%, outperforming the Sensex. The S&P BSE Small-Cap index was up 0.26%, underperforming the Sensex. The market breadth, indicating the overall health of the market, was strong. On the BSE, 960 shares rose and 477 shares fell. A total of 59 shares were unchanged. Overseas, Asian stocks erased early gains and slipped back Thursday as investor relief at US President Donald Trump and the European Commission chief's plan to ease trade tensions was offset by disappointing US earnings. US equities advanced Wednesday, after US President Donald Trump reached an agreement with European Commission President Jean-Claude Juncker aimed at averting a transatlantic trade war. Back home, Bharti Airtel rose 0.97% ahead of its April-June 2018 earnings today, 26 July 2018. Dr Reddy's Laboratories rose 0.84% ahead of its April-June 2018 earnings today, 26 July 2018. Ambuja Cements jumped 5.49%. On a consolidated basis, net profit of Ambuja Cements fell 4.70% to Rs 684.46 crore on 7.81% rise in net sales to Rs 6835.12 crore in Q2 June 2018 over Q2 June 2017. The result was announced after market hours yesterday, 25 July 2018. Larsen & Toubro (L&T) rose 1.27%. On a consolidated basis, net profit of L&T rose 43.15% to Rs 1472 crore on 18.78% rise in net sales to Rs 28283.45 crore in Q1 June 2018 over Q1 June 2017. The result was announced after market hours yesterday, 25 July 2018. Hero MotoCorp rose 0.26%. Net profit of Hero MotoCorp fell 0.53% to Rs 909.17 crore on 10.39% rise in net sales to Rs 8809.82 crore in Q1 June 2018 over Q1 June 2017. The result was announced after market hours yesterday, 25 July 2018.